Favorite car you've owned and why. Am torn between my old 63 TBird, and my current '95 SLS, but the most fun was the '72 VW Westphalia Camper... that took DW and #4 son to every public campground in Illinois and Wisconsin, between 1979 and 1984. Bought it used from a Carny, who had lived in it for 5 years as he followed travelling circuses around the country. It had an strange aftermarket heater, that consisted of a galvanized pipe sitting upright between the two front bucket seats. It operated on gasoline, fed from the gas line to a drip burner that was ignited by a spark plug. We'd turn the valve on, and start the spark, and wait for the flame to "pop", then run with a rumble and an exposed flame. If it didn't fire right away, a big flame would shoot out. DW would wait outside til I got the heater started. Always an adventure.. We'd leave every Friday night after work and travel to a new campground, and return on Sunday night. Her name was Victoria... "Victoria Von Volkswagon", and she was forever unpredictable... An intermittent starter periodically required #4 son and DW to push start, which always got me dirty looks... Actually my bride's fault since she refused to learn how to pop the clutch. wide spot in the road and finish the hill climb in reverse. She had a pop up top, that turned into a sleeping space, a porta potty, sink, gas stove and dining table and a pull out canopy. She gave up the ghost on a trip, and we limped home in fourth gear, after losing first, second and third. Had that fixed, then a month later, engine went out... A great experience. Four bolts to remove and five hours to rebuild with new rings and split dual carbs. I felt like a master mechanic. Couldn't find a picture of Victoria, but she was exactly like this... Know she would have been proud. My old Karmann Ghia had one of those gas heaters. I was always waiting for it to blow up and take out the fuel tank, which was right next to it. I think my favorite car was a 1972 Duster with a straight 6, three on the floor, vinyl roof and bucket seats. I was convinced that I had arrived when I could afford that car (used). 94 mitsubishi 3000GT VR4 Turbo. They still look good today, if you can find one. 1995 Honda Accord. Fell in love with the model at the 1994 auto show, bought it new, sold it just a few months ago. Definitely the most elegant, trouble free, user friendly car I've owned. When I was 16, my dad bought me a 1966 white mustang with red leather seats. I really liked it. However, he often traded in cars and do he traded it in for an Olive Green Maverick a few years later, as a surprise. It was a surprise alright, and I hated that he did that. It was so ugly. I wish I still had the Mustang. 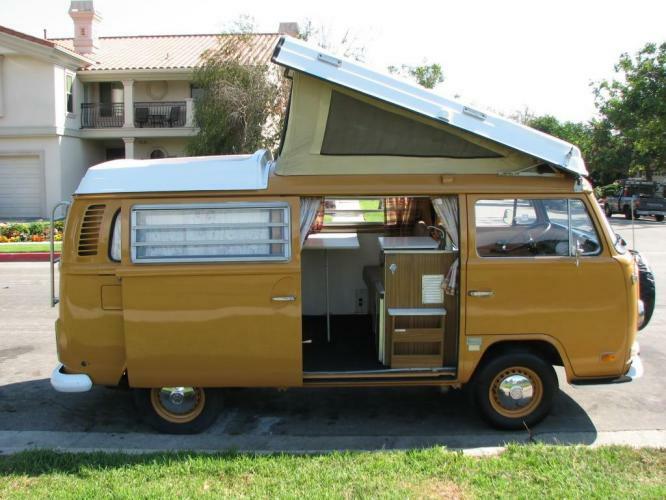 1967 VW transporter, sunroof, moon windows and 1998 BMW 540I 6 sp V8. God this car was a blast to drive, completely impractical to own in Hawaii if you do all of your shopping at Costco. Did I want a case of beer, or toilet paper the car will hold only one. I drove across Canada in a VW pop top w/ my friend (owner of the van). It did eventually break down in Winnipeg. Found the cheapest replacement car - a 1966? Valiant station wagon for $300.00, and made it to B.C. for our Feb. jobs. His previous VW Pop top did catch on fire, before he had headed east to get me. ha. My favourite car would have been my convertible Saab, but I rolled that after 6mths of owning it. (: ... no harm down to me, good working rollbar. My 2nd favourite, my reliable Vibe. . Actually, I have fond memories of my first car, a Chevette. 1980 Mazada RX7. I was a cool cat back then. I haven't owned a lot of cars since I got my driver's license 27 years ago. I'd have to say my favorite was my first new car - a 1992 Pontiac Grand Prix GT. I bought it the week after graduating from college (a bit foolish on my part, I didn't need a new car). Now that I'm older and married I tend to drive more boring cars and keep them for a long time. Our two vehicles are 13 and 16 years old. I think I will indulge my fun side again by the end of the year and pick up a Mazda3 hatchback. Need something cheap with good mpg to replace the 16-yo car. 2004 Infiniti I35. That car had so many great features, ergonomically excellent with everything where it should be, handled great and had over 200K miles with zero problems. Only car I ever had that had heated rear seats and a heated steering wheel. Didn't need gloves in the winter. I would have bought another but they stopped making it and went to the M series and I just didn't like them as well. For me it would be my 2005 Honda S2000. DW says it's my mid-life (or latter) crisis car. I tell her it's the most fun I can have with my cloths on. Like riding in a go-cart. Taken some trips with her (and DW) and it's always a challenge to get all our "stuff" in the trunk. Tell DW she can only buy things that can fit for the return trip. She smiles and says I can always have them shipped home. Going back over the past, it would have to be both my '65 & '66 T-Birds. My favorite would have been a '66 T-Bird vert (with the top, that would go down in the trunk), or a '62 Olds vert (with the big chrome on the side of the car). Perhaps I did have the most fun with my 1st car, a 69 Mustang, but that was a long time ago and the memory has faded. Nowadays, cars are just transportation for me, no more no less.